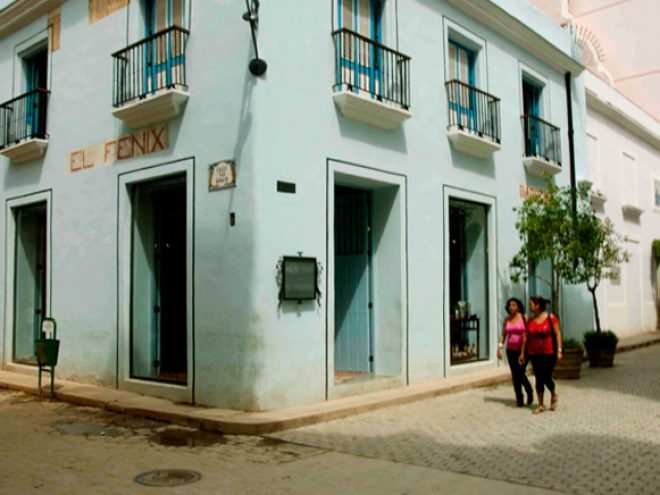 The year 2005 saw the opening of the only store in Cuba that specializes in macrobiotic and organic foods?the Bethania Market on Amargura and San Ignacio Streets in Old Havana. The macrobiotic diet promotes health and well-being through the consumption of natural, organic and whole foods, and the elimination of sugar, dairy products and red meat, as well as tomato, pepper, eggplant, eggs, animal fat, coffee, alcohol, and processed foods. The process of handling and cooking foods should contribute to preserving their colour and smell. Only natural seasonings in the form of herbs and spices are used, as well as unrefined sea salt. Foods should always be eaten fresh, in moderate amounts, and well combined for an effective synthesis and health results. A macrobiotic diet also demands drinking quality water. As part of the work carried out by the Finlay Institute in Havana, and in coordination with Dr. Mario Pianesi from Italy, organic foods were first sold in this health store. This one-of-a-kind shop offers a wide variety of products for therapeutic purposes based on one basic principle: to prevent and cure naturally. Courses on macrobiotic diets and cooking are taught at the Finlay Institute. The macrobiotic dietary system emphasizes the use of whole grain cereals, seaweed, vegetables, fruit, legumes, and fermented soybean products. Cereals include couscous, brown rice, and crackers made of brown rice, among others. Pastas made of whole-wheat can also be included in this diet. The most popular legumes consumed are dried peas, pinto beans, lentils and other pulses, such as the exotic Arab red lentil. Raisins and prunes are sold dehydrated or as jellies through maceration, or as marmalades with bits of the fruit. The store also offers dried fruits including nuts, sunflower seeds, blanched or not, and sesame seeds. The only place where you can find seaweed in Cuba is at Bethania. Sea vegetables, including wakame, nori and kombu, are rich in vitamins and minerals. Wakame, which is sold dehydrated or salted, is very much used both in cooking and in traditional Chinese medicine. It has been proven effective for purifying the blood and it is considered to greatly improve hair and skin conditions. Among other properties, it also has a positive effect over the female reproductive system. The green seaweed is sweet-tasting and has a special texture. For cooking, the frond should be cut into small pieces as it extends out pretty much when cooked. It can be added to soups and salads. Red nori is used to prepare dishes such as onigiri (rice balls wrapped in nori) and sushi. The green variety is used dried as a seasoning. Kombu is a very popular seaweed in Asian cookery. It is one of the elements used in the vegetarian meat called seitan. It is used preferably fresh, but lasts only a few days. In the form of pressed thin sheets, it takes the name of oboro kombu and is also found dried or in powder form. It must be consumed with moderation as it has a high iodine content. The beverages section includes green tea and bancha tea. Green tea has been identified the world over as an excellent purifier and antioxidant. It has indisputable properties that are beneficial to a person?s health. Bancha tea is a basic component in the macrobiotic diet and is a strong ally of people who suffer from diabetes. Bancha is a Japanese green tea with an intense aroma and very bitter flavour, which is grown during the summer and autumn seasons. Other drinks include wine made from organic grapes as well as cider that can be used for cooking and as dressing for salad. Apple and rice vinegars are sold at this exclusive store. Best-selling oils include extra virgin olive oil, pure sunflower oil and sesame oil. Miso, the thick brown salty paste made from soy beans, is used to flavour savoury dishes and stands out for its unique aroma. This high-protein food paste consists chiefly of soybeans, sea salt, and fermented grain. Its healing powers are much valued in China and Japan. There is white, red and black miso, ranging in taste from very salty to very sweet, according to how long it is left to ferment. It is believed to have revitalizing, energizing and equilibrant powers for metabolism. It is digestive, has detoxifying attributes and regenerates cells. Also rich in minerals, it lends beauty and health to the skin and hair. Another condiment that can be bought at Bethania is gomatsu, a mixture of roasted sesame seeds and sea salt. Naturally processed sea salt and tamari soy sauce may be used to flavour grains and soups, as well as fish. Umeboshi plum is a traditional Japanese dish whose red colour is intensified with the use of a herb called Akajiso. Umeboshi plum is both salty and acid and is usually served with rice. It works as an antioxidant, regenerator and equilibrant of the digestive system. It is also invigorating, detoxifying, fights stress and helps lower high blood pressure. A section in the store is devoted to cosmetics made with 100% natural ingredients. Nutritional and moisturizing creams plus handcrafted soaps are among the offers. Macrobiotic principles not only involve a diet composed of natural and organic food, they also involve careful and effective preparation of the food one eats. To this end, the store also carries special utensils, such as mortars and pistils, and thermos bottles. The suribashi and suricogi are used for extracting sesame and sunflower seed oils, while the stainless steel thermos flask keeps the water for preparing tea at an ideal temperature, thus preventing the oxidation of what is to be consumed. Macrobiotic cuisine also demands stainless steel pots and pans. Microwaves and Teflon should never be used. The store also sells diet products by Santiveri, a pioneer company in natural and diet food. Organic incense sticks are an exclusive offer here. The smoke produced when burnt have therapeutic and healing powers for some ailments, or simply improves one?s state of mind and lifts one?s spirit towards a healthy body and mind.